If your one of those that are not technologically updated, network attached storage (NAS) may be new to your ears. But if you ever encountered having to share data among multiple computer users, I’m pretty sure you used a network storage device. This device, commonly referred to as NAS, is a file server that is mainly used for data storage and sharing. It’s a device that provides additional file backup space, in which, this file can be accessed by several other computers simultaneously. Network storage units have been gaining popularity in its industry ever since it came out on the market. NAS offers a larger capacity for data storage. It provides additional storage space to all devices connected to it. We don’t have to worry about losing some files just to give way to a new one. It can hold data far more than the average USB we are all used to. Another thing, with its ample room for data, data transfer is more straightforward since we don’t have to insert and remove several different storage devices to access data, this is especially important for people who need to get hold of large volumes of files. NAS offers a convenient way of data sharing and transfer. Several computers can access files stored in network attached devices all at one time. Thus easy sharing of data is achieved. This is a cost and time effective if compared to storing large volumes of data online. We don’t need to move from one computer to another just to share data since the network storage makes it possible to access these data on your own device. NAS can also serve as a back-up. Crashing servers, corrupt files – these situations are no longer new to us. Most, if not all, have already experienced this. With this, the networked disk can act as a back-up. Whenever we are trapped in sticky situations mentioned above, it can be our saving grace. We don’t have to worry about losing a single file, just as long these files are already stored on your network disc. As it is useful, network storage devices are being used in all kinds of environments – from small home computer networks to bigger ones, like offices and organizations. If you are shopping for the best network attached storage for home but you are not a computer geek – don’t worry. The NAS is easy enough to install and use that you can actually put one in your home. Using it in households is becoming more common, as people discover and see its benefits. Files, like music, pictures, and important documents, can be simultaneously shared among family members. The whole family can browse through pictures all the same time, or you can share music with another member of the family. Critical family-related documents can also be shared between the household members in no time since it is easily accessed in NAS. Even internet at home can be shared through this device, you can plug in a router, and internet is available for all internet-able devices. There are several 2 disk models designed for use at home like Synology DS218j as well as home 4 disk models like DS418j. Historically we have been focusing more on Synology products, but there is also a great alternative from another manufacturer – the WD My Cloud EX2 Personal Cloud Storage. Some may be tempted to get DS411 or even the new DS418 but before you take out your credit card, check out the comparisons in my Synology 4 disk models. For a larger organization, like small business offices, all features of NAS are being wholly utilized. All the benefits of using one are needed by companies. The best network attached storage for small business should provide a large capacity for data storage that can accommodate the massive amount of documents and files companies need and accumulate for daily business and operations. With network storage, data sharing is made easier within offices and organizations as multiple computers and monitors can access any data simultaneously. This eliminates the need to manually share through going from computer to computer, which in turn saves time and effort. NAS also serves as a backup server for necessary files critical to the companies’ everyday operations. With this, NAS helps to ensure that company operations are continuous and smooth-flowing. Storage systems used in office environment usually have at least 4 disk bays, but you can find few 2 disk models that perform well in the office environment. 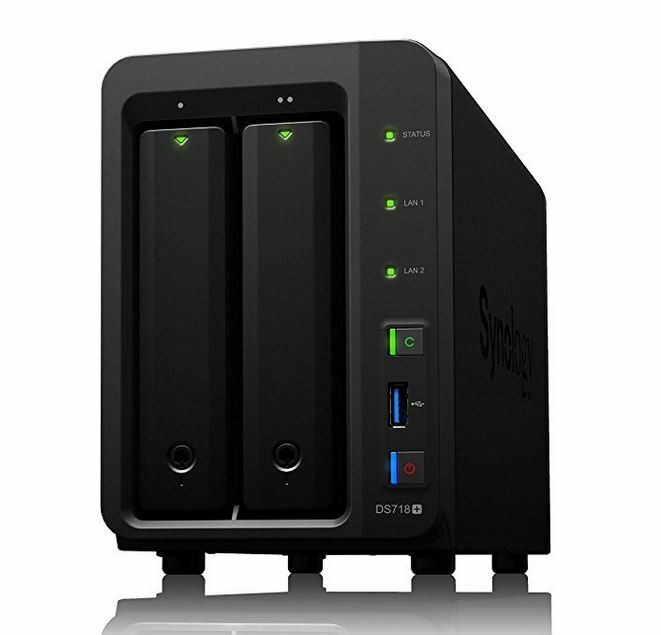 The entry-level 2 disk small office models are the new DS218 and Synology DS718+ models. You can expect better performance and larger file storage volume from 4 disk models like Synology DS418 and DS918+. Today, there is already a wide range of network storage models available in the market you can choose from. You can undoubtedly find the model that will be most fitted to your needs. One thing you should be aware especially if you are considering upgrading your small office NAS is the upgradeability. 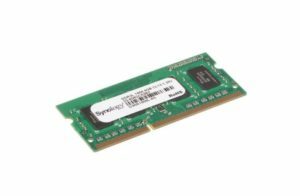 I have done some research so that I can advise you to read more about Synology memory upgrades. You can build the this device yourself. You just have to figure out which is the best case for NAS, which NDD or SSD to use, and which motherboard. I will help you and answer all your burning questions about these topics. What is the capacity range of a NAS device? For the devices we have reviewed in our site the capacity ranges from 14TB (1x14TB HDD) in Synology DS118 up to 252 TB (112 TB + 14 TB drive x 10) in the DS1817+ system. What does NAS stand for in computers? NAS stands for network attached storage. Synology is a brand that builds devices for network storage and has a massive lineup of NAS models, in other words, Network Attached Storage models. The many different models are for the diverse requirements of people. But the tricky part is understanding which model does what because at first, they will all look very similar. That is a reason I wrote this best Synology 2 bay NAS review to describe some of the features which make them suitable for particular uses. This way you can see what your requirements are and choose your best NAS with 2 hard drives accordingly. This Synology DiskStation DS216se 2 bay NAS is part of the Synology SE series and holds the most basic NAS devices from Synology. This model is best for times when you do not require a lot of critical backups or energy because it offers only a basic, very non-critical backup. An advantage of DS216se is the space utilization. The drivers are out, and one can see what is inside, there is no space wasted. All the elements in this are of use, from the PCB to the tapered edge to make the power button and LED fit nicely and even the fan for the drivers. Unlike most models and devices of the sort, this one, in particular, is pretty easy to set up and is very powerful. One can customize how they backup information into their Google Drive or an external hard drive, USB thumb drive or another device of choice. This is also great for people with smaller workspaces or just a tiny space dedicated to this device. The low power server is also loved by customers, as well as the many options for configurations and access. A con of this product is that one cannot use an existing NTFS or file system disks with this as all the data on it will be wiped out. Another mentionable con of this product is the drive sled. This comes with only 4 stickers and drive brackets which are too small for some people and customers prefer them to be embedded instead. The Synology DS218j is part of the Synology J series which is often termed as affordable. But its features should not be considered compromised due to the low price for this is one of the most effective lines they have. This model is best for people who require a lot of surveillance for the surveillance camera comes with not a few, but 5 video camera heads for a good 360 degree view. An advantage of DS218j is that this is great for beginners, anyone looking to get their very first NAS station should be looking at this model. The reason being it is pretty simple to set up, and once it has been successfully set up the operating system automatically gets the user packages recommended for them which they might find useful. Also, if one is using a supported router, the DiskStation will automatically change and forward ports on the router. It has a number of apps and options which can cater to a variety of different needs and tastes. Another pro is that it does not require a monthly bill as most subscription services do. A con is that it is harder to use than a regular subscription service, it does not have a tray to swap out the HDDs. Also, this does not pair well with Windows 10, so one can face troubles mapping the drive. The Synology Disk Station DS218play is part of Play Series. This unit from the Play series is perfect for people who require the use of lots of multimedia content. That is because it is built around Intel CPUs and 64-bit architecture which can support tasks related to multimedia performance. So be it a speaker setup, a smart TV, iPad or Android devices, this can work all efficiently with this media server. An advantage of DS218play is that it has a high-speed processor which can stream clearly to high resolutions like 1080p or 1080i without maxing performance in other stations. The Synology units are also very solid, and the OS is very stable. These are expandable and even come with RAID protected storage device. Setting it up is very easy because it comes with a lot of help documents and videos about this are easy to find online. A con is that the file browsing is slower than you could expect, and so is the transfer, especially with Mac OS X computers. Some users have even stated it as unusable with Mac OS. The software is not loved by most because it is also not very compatible with other operating systems, not just Mac OS and can malfunction destroying drives and information accidentally instead of preserving them. The 2-bay Synology DS218 is part of the 2018 series, which makes it one of the newest models in town. With a 2 GB DDR memory, this one has 4 times the power than its previous versions, which make it very ideal for anyone looking for a lot of potential in their device. Pros of the DS 218 include its backup storage which is very efficient. Sharing files too has never been easier because this makes it a piece of cake. Set up is also very easy, and not just for professionals but for amateurs as well. Setting up on the local network is very simple as well. The web interface is straightforward and intuitive. Cons of this product include the fact that this NAS is not supported by PLEX which puts off some buyers because this information is not explicitly stated to consumers during the time of purchase. Also, the fact that few of Synology’s NAS devices are not available on this particular model which happens to be new is a con for most buyers. More information about the DS 218 model is available in my review of DS218. The Synology 2 hard drive NAS DiskStation DS218+ is a part of Synology’s 2018 and PLUS series. The plus here indicates that this has an extra year of warranty. It has a live transcoding feature which can stream up to two concurrent H.265/H.264 4K videos, so it is perfect for anyone who requires to stream videos for their work or entertainment purposes. Advantages of DS218+ includes that this is great for beginners and should be on one’s list if they are out to buy their very first one. It has many apps and can be expanded as needed without hassle making it very functional. The manufacturer’s website offers thorough instructions on how to set it up and how it works which makes it great for amateurs. The DSM software is easy to use and very robust. The remote access feature is also efficient for it can work from far. Con of this product is that there is no automatic backup for this device. Some users have also found this to be extremely slow when uploading to Amazon cloud services. Others have claimed it does not work as well with 4k movies as stated. The performance is also slow-ish for an entirely new model, and transfer is very slow as well. You can learn more about this series in my Synology DS218+ review. The Synology DS718+ is also a part of Synology’s 2018 and Plus line. This means it is a 2018 model that has an extra year of warranty. When speaking of ideal use or what this model is best for, it is the camera. If anyone requires their device to capture excellent recordings at high pixels for their work purposes, this one from the 2018 and Plus line is perfect for them. Pros for this include that this comes with a selection of apps and is very easily expandable. All this together makes this functional. The website from the manufacturer has detailed information on how to set this up, so it is good for beginners, or someone looking to purchase their first one. The DSM software is efficient and hardwearing, and so is the remote access feature which can work from some distances. A con is that there is no effect when it comes to backing up devices, and a common mistake is thinking it has an automatic backup like most other models because it does not. Uploading to Amazon Cloud is also a hassle, and watching high pixel movies are not very comfortable either. The Synology DS216+II NAS DiskStation belongs to the year 2016 model line with an added warranty and a new processor. The personal cloud storage feature is one of the best in this NAS. Syncing is super easy, which makes this great for anyone who needs to connect with multiple devices at once. It also has offline editing options which are like an added bonus. An advantage of this unit includes the syncing feature, which makes accessing files super easy from anywhere. The server is excellent but will require a bit of knowledge to work it. The Syslog server works great and is very handy security feature if the router or firewall can send logs, which enables one to monitor their logs graphically. When ports are open, it is easy to see if hackers are trying to access your network. As for the cons, the backup software is not the best. It does come with one, but it is not very efficient at backing up all the data. The system cannot do a complete system image. This unit also does not possess the power to transcode in PLEX. This is the Synology 2 hard drives lineup for 2019. If more storage space is required, please check out the 4 bay models lineup below. Synology is a world-renowned computer hardware manufacturer that has spawned a number of award-winning 4 bay network attached storage systems over the years. These products enable users to hold complete cloud control over stored files that are in an absolute secured position and can be accessed across a multitude of electronic devices at any time, 24/7. A model with the highly praised operating system, Synology DiskStation Manager, the Synology DS416slim has made multimedia streaming not only easier but also more fun. It is compatible with any Android, iOS or Windows device, accessible via just a mobile app. The product is slim, as its name would suggest, and compact in nature, designed for users owning 2.5” drive (both SATA HDD and SSD). If you are looking for a NAS which is efficient, this model is your best bet since it prides itself on space utilization. However, since it is diskless, DS416slim does not come with a hard drive inside it; the disk has to be bought for a separate price. The structure is also very well-designed; there is even a fan set up to make sure that the drive does not end up heating up in cases of heavy usage. Inside or outside, they don’t waste one space of millimeter, having placed the power button and LED on the same side for the operator’s ease of use. However, the labels on the drive sleds need to stickered on, and the stickers are very tiny, which may be a slight measure of irritation. Other than that, the product is pretty much art-of-the-state. If you are looking for a NAS with significant storage capacity that can be access files anytime and anywhere, the Synology’s 4 bay DiskStation DS418j is the ideal model for you. It operates under a 64-bit dual-core 1.4GHz processor and can support a maximum of 16 IP cameras. Sharing files across the DiskStation storage enables you to centralize data in one single cloud location and then access them through numerous popular platforms on a multitude of electronic devices. The DS418j is a great NAS to use if you are a team working on a project virtually from various geographical locations at the same time. In addition to the non-hack-able, absolute guarantee of security, manufacturer also ensures that even you can recover files on your own in the case of an accidental file loss. Yes, backup indeed is everything. Furthermore, in respect to a common claim among customers that the DS418j is prone to failing to reboot after an install, backing up your files is a safe choice although powering down and restarting the NAS has always solved the reboot issue. For more information about J series, please check out my review of DS418j. Similar to the rest of its brethren, the Synology DiskStation DS418 4 bay NAS provides its operators with the best file storage service that can access data from anywhere at any time of the day. It can transfer files across multiple devices such as even Smart TVs, Roku players, Apple TV, and Chromecast enabling you to enjoy endless multimedia streaming and gaming. What makes this model unique is its ability to transcode 4K Ultra HD video; having a 64-bit quad-core processor means that the DS418 can transfer 10-bit H.265 quality video at the speed of light (not literally, but you get the gist). This is to be noted though that while streaming HD quality videos, it is best to refrain from any other type of uploading or downloading in the background since it may cause some form of buffering for the former. All in all, this is a great product to buy and even to set up; even people with less technological knowledge have praised the DS418 for its straightforward operating techniques. Here is my review of DS418. Being a Synology product, the DiskStation DS418play NAS has everything the company’s 4 disk series promises and more. In addition to allowing its users full cloud control over their files from anywhere and on any device that is compatible with Android, iOS and Windows operating system, the DS418play also has additional incentives for purchase. Similar to the DS418, it can transcode 4k H.265 Ultra HD video at excellent transfer speed, courtesy of its quad-core processor but unlike the DS418, the DS418play can stream HD videos of both H.265 and H.264 via two channels at the same time. However, while streaming the video from a PC may be a better option for viewing than, say, a mobile device such as the iPhone since the stream may come across as a bit choppy. Another of its feature is its ability to combine the Btrfs file system to protect the data in a more highly secured manner successfully. Furthermore, there is a surveillance station that helps monitor the streaming and management of IP cameras during live video feeds. The Synology DiskStation DS918+ is the best file storage device for small to medium level enterprises looking for a way to share the workload virtually to get extensive work projects done at a faster pace. However, that is not all; in addition to offering storage space, users are also privy to some add-on applications courtesy of the Synology Package Center. There are more than 90 applications you can choose from to transform your DS918+ into your ideal NAS. The DS918+ also sports a high-end Security Advisor with an encryption engine that protects the product and the information it holds from all sorts of menace with the use of firewalls, auto-blocking and so on. It also employs defensive barriers such as warning about weak passwords and monitoring configurations. The DS918+ comes with a surveillance station which helps in monitoring the IP cameras during live video streaming. However, it has an extra charge for an additional camera after the initial two, therefore, making the entire process rather expensive. In conclusion, it is a great product to use although it does require more than the minimum level of technical expertise to be able to know how to set it up. Older Plus-Series models like DS412+ and DS415+ were not compatible with additional 5 disk storage. My Synology DS918+ review can be found here. Below you will see the comparison of current and older 4 bay Synology NAS systems. When I was starting my research about Synology DS-411 storage system, I was confused. I discovered that there are 3 devices with very similar model numbers – Synology DS411, DS411+, and DS411j. I decided to look more into these models to see what the difference is. What is common for all these devices is the number of expansion bays – 4 bays. That means you can use up to 4 hard disks with total volume of 12 terabytes (4 x 3 TB). Synology DS 411j is an external data storage system designed for use at home. It has been designed with applications like multimedia sharing, backup of files, and internet sharing. It can be used as a download station for BitTorrent and other peer-to-peer file sharing programs. It is also DLNA compatible which means you can stream media from this device to your audio system and TV set as well as latest generation video game systems like Xbox 360 and PlayStation 3. DS411j also works with iTunes very well. Scroll down to see Synology DS411j vs DS411 detailed feature comparison table. Synology DiskStation DS 411 can comfortably stream media to up 3 computers in your home network for prolonged periods of time if no other tasks are performed. If you plan to use your DiskStation more extensively, you should look into more advanced models. The DS 411 is built for business applications in workgroups and offices. It provides a data backup solution for your office computers. If you have a mixed environment of Windows computers as well as Macs and Linux hardware, DS 411 is designed just for you as it provides data sharing across all these platforms. DS 411 is more powerful than DS411j having a faster processor and more memory. If needed it can also provide the same functionality as DS411j like DLNA, Bittorent, etc., so it can also be used at home if you have more than 3-4 computers there. Please scroll down to see the detailed feature comparison table. DS411+II model is even more powerful than DS411 and is designed for small and medium businesses. What sets this device aside is an even more processing power that allows it to provide even faster data reading and writing speeds. This is the cheapest DS411-family model – DS411J for using at home. This is just a NAS device without hard disks. To use it you will have to buy hard disks separately or use your own hard disks. Just keep in mind that when you mount disks on this storage device, all information stored in these disks will be erased. This is the same DS411J model described above plus 4 units of 1TB hard disks. This is a good choice if you don’t have spare disks at hand and don’t want to mess with shopping for hard disks. Just keep in mind that 411-series 4 bay devices support up to 3TB hard disks, so you can always upgrade to larger volume disks if necessary. This is the diskless version of the DS411 model for small workgroups. As with all diskless NAS systems, you should add 4 hard disks before you can use it. The DS411 with included 1TB hard disks, 4 units total. This is the diskless version of small and medium business model DS411+II Add hard disks of your choice to use it. This is DS411+II model with 4 units of 1TB hard disks preinstalled. If you have never set up network attached storage systems before you may want to check out user manuals linked below. If you want to download various software packages for your DS411j (Synology Assistant, Download Redirector, Data Replicator 3, etc.) visit Synology Download Center by CLICKING HERE. For those people who are on the lookout for a new NAS device which is suitable to be used for home or a small business, Synology DS1517+ can be one of the products which can be taken into consideration. It is the solution of its manufacturers to the call forbetter capacity and performance, compared to the models which have been introduced prior to 2017, the year at which Synology DiskStation DS1517+ has been made available in the market. If you need a powerful NAS system with 5 disks, the DS1517+ is a good option. Before you decide to buy Synology DiskStation DS1517+ network storage server, it would be useful to first know its set of advantages and disadvantages which can help you to consider if this product will be worth every penny spent or if you need to consider another NAS device as an alternative. I also suggest to check out another Synology NAS built for SMB needs, the Synology DS712+. One of the best things with Synology DS1517+ is that it has delivered many of the expectations of people from a NAS device. People who have used this product in the past have commended about its superb performance and reliability, which, according to the product’s developer, can be attributed to its highly advanced features and speed. Aside from the high quality of management interface, it is also user-friendly. It also has 1 HDD led per disk, which will make it easier to know which among the disks is busy with its current performance. The DS1517 Plus also functions very quietly, even if it is equipped with two fans. In addition, it also consumes relatively low amount of power – only 39 watts on the normal operating condition of the product. You can increase DS 1517+ NAS performance even more by adding Synology DS1511+ memory. The NAS comes with 2GB built in RAM and supports un to 6GB RAM which means you can add additional 4GB RAM module. 1517 is ideal for those users who would want to enjoy the benefits of reducing the energy used. For novices at their homes, and even for businesses with sophisticated requirements, the Synology DS1517+ can indeed prove to be the perfect choice. Despite the good reviews, there are also some disadvantages of this product, including its price. The product is seen to be more expensive than its other counterparts in the market, although the counterpart promises the same set of functionality and efficiency. Its inclusion of only 2 free IP camera licenses is also noted by some users as one minor downfall. Still, the advantages of this product outweigh its disadvantages. Being marketed by one of the most trusted companies all over the globe, Amazon, this product seems very promising. Although it seems to be more expensive than its counterparts within its category, the price is nothing which you should be worried about, as it is compensated by a high degree of performance. If you are seeking for a product which is commendable in terms of performance, ease of use, hard-drive support, and aesthetics, this product will surely deliver and meet your expectations of a NAS device. The advance features may not be perfect for basic users, but they can be learned easily. With all of this, it would be worth to get the Synology DS1515+ NAS. You will surely not end up being disappointed. Concurrently with the increasing demands on the Network Attached Storage (NAS) from small business offices and homes, the WD My Cloud EX2 is the technology answer to those demands of a fully featured 2 bay NAS devices. The Western Digital My Cloud EX2 from is offered with several different storage capacity options to fit the requirements of various users. You can start with the diskless model, which comes without preinstalled internal HDD, or choose a 4TB, 6TB or 8TB model. This storage device provides multiple drive management options to include spanning, RAID0 and RAID1. It also provides the utmost data protection through the private cloud, LAN or WAN. Besides, it supports the automatic backup via WD Smart Ware Pro for PC users and Apple Time Machine compatible for Mac users. The WD NAS is designed to achieve a fully compacted suite of protocols such as FTP, P2P torrent servers, Word Press, Transmission and many others. Best of all, it can be accessed from anywhere, external computers on the cloud, smartphones, tablets and mobile phones. MyCloud EX2 is a low power device that targets low levels of powers and doesn’t need to attach enormous fans for cooling. The NAS has the advantage of being a fast access disc device with extremely easy and informative GUI. It doesn’t need a deep level of network technicality to handle it. It can be accessed merely and shared through a conventional internet browser. Despite that, one issue of the device is that it doesn’t do multiple different backups to the drives. MyCloud EX2 is available in two colors, Black and Gunmetal. Those colors are perfect to make the device always appears as a new one – like it doesn’t age. It comes with Ethernet cable, power supplier (AC adapter) and the install manual guide. The wires are colored matched in order not have many cable colors. The power supplier inside the retail box supports up to 36 watts on 12 Voltage supply. Hence, it is considered to be energy efficient. Another nice feature of the MyCloud drivers is that they are swappable, that when one drive fails, you can just open the top plate with your fingers and just slide the drive out of the body. And to replace the failed drive, a screwdriver is needed to be tapped over the new drive. Some users prefer building full RAID 1-row backup drive from beginning in case of failure to achieve instantiations automatic backup. The front end of the My loud EX2 has three led’s, one for power status and the remaining two to indicate internal hard drives status. No ventilation holes are included on any side of its body. It contains a small fan for cooling. 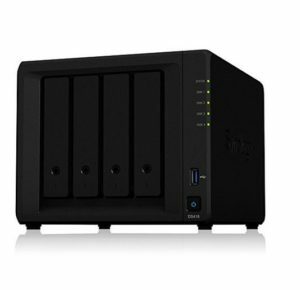 In conclusion, this NAS device from WD is a compacted fully featured NAS solution that targets small businesses and homes. If you think EX2 does not quite meet your needs, I suggest to check out these few models from Synology – the DS418 and DS218j. It has several really nice features such as automatic backups, proficient levels of data protection, accessible and informative internet GUI and fast data transfers. Also, it is a very energy efficient device that consumes small power supplies hence it only needs a small-sized fan for cooling. It is provided in different capacities to suit different usages and purposes. So all in all, let’s take a peak in your storage efficiency and get the WD My Cloud EX2. Drobo FS Beyondraid 5-bay NAS GBE Storage Array adds to the wide range of NAS devices available in the market. It is a new member of the Drobos produced by Data Robotics. If you are looking to purchase a NAS device, you may want to look into Drobo FS 5-bay GBE Storage Array. But, just like everything else, you need to be aware of the advantages and disadvantages of using the product to help you decide whether it is a good buy. The most visible benefit of using this Drobo device is its ease of use. Installing and configuring FS array is easy enough that even those who have no previous experience in using any NAS device can do it without having a hard time. And compared with the other Drobos, this particular unit seems to be quieter when in use. Also, with the DRDS2A21, you won’t have to worry about connecting it to the different computer system as it supports Windows, Mac, and other operating systems. Another advantage is that you may also choose to expand or limit your used file space as it lets you add or remove drive as you would like. This device provides room for 5 drives. Also, data are all kept secured even with drive failures as the NAS has dual-drive redundancy option that can protect up to two drive failures. Drobo FS Storage Array’s speed is not suited for bigger groups, like offices or organizations. Though its speed is not exactly a disadvantage, especially if you are looking for a NAS device that can be used at home since it can accommodate the usage of three to ten computers simultaneously. Another disadvantage is its price. A lot of consumers think its price of more than $600 is a bit high for a NAS device. If you are looking for a cheap unit for home use, you should check out Synology DS218 reviews. In the end, you need to weight things over. The speed depends on how you plan to use your network attached disk. If you need a network device to be used at your office, then it may not be the best choice, and you should check out other NAS models like Synology DS1517+. However, if you are to use it at home, then DRDS2A21 NAS may prove to be one of the best choices. This model can be a little bit pricey compared to others, but at the end of the day, you would want a storage device that you can trust your files and documents. The Drobo gives you that.